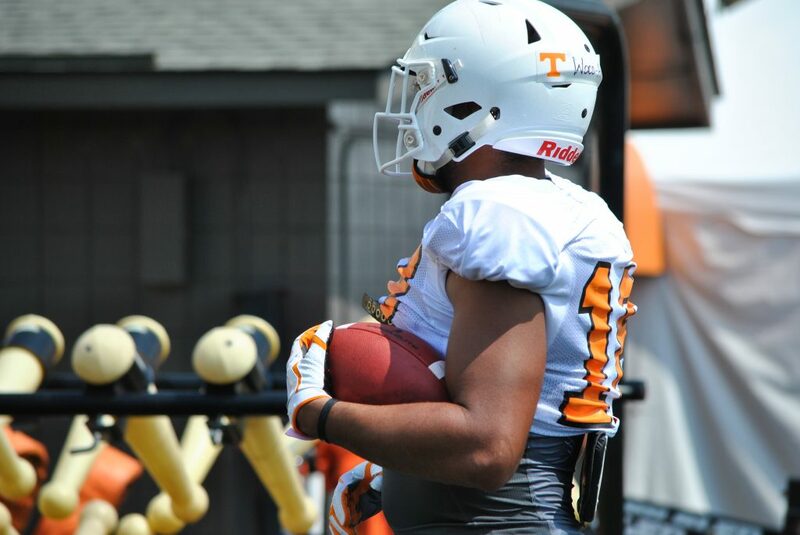 Some of Tennessee’s players spoke to the media on Thursday afternoon, and we were there to get their thoughts on a myriad of topics relating to UT football, fall camp, Jeremy Pruitt, schoolwork, and more. Michigan State grad transfer running back Madre London talked about the differences between Tennessee and Michigan State, what he thinks of the Vols’ other running backs, his transition from the Spartans to the Vols, and more. Offensive lineman Ryan Johnson spoke about the growth of the Vols’ offensive line, the increased physicality of the line and the team as a whole, his studies and how he relates them to football, and much more. Linebacker Jonathan Kongbo discussed his switch from defensive end to outside linebacker, where he thinks he’s grown the most as a player and person since first coming to Tennessee, and more. Tight end Dominick Wood-Anderson discussed his transition to tight end at the junior college level, what he’s seen from UT’s tight end unit so far, why he chose the Vols over other schools, and more.